To ray trace even those few things on your screen, an enormous amount of compute power is needed, and so NVIDIA created specialized hardware for the task in the form of RT cores, which sit besides the all-purpose CUDA cores. The Tensor cores, which made their debut with "Volta," also feature here, lending a hand with deep learning and AI tasks, including a few turnkey features game developers can integrate. The new architecture also keeps up with generational gains in memory bandwidth with the new GDDR6 memory standard. The display I/O is revamped with support for the latest DisplayPort and HDMI standards, and a revolutionary new connector called VirtualLink. . 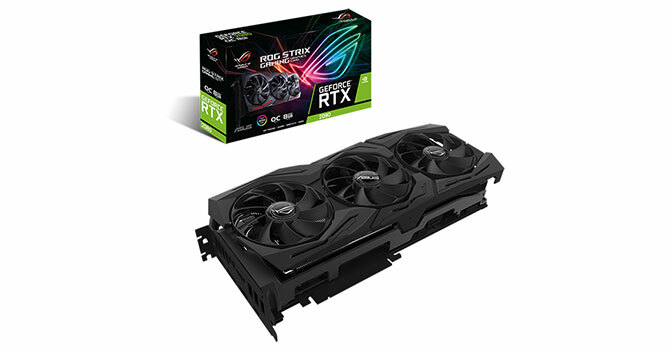 In this review, we take a look at the ASUS Republic of Gamers STRIX GeForce RTX 2080 Ti OC, the company's most premium RTX 2080 Ti offering for now. 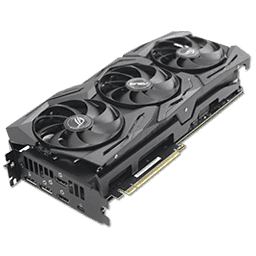 This board is a powerhouse when it comes to the VRM setup, with several load-sharing phases, and includes a reasonable factory-overclock of 7%, which takes its GPU Boost frequency up to 1650 MHz.